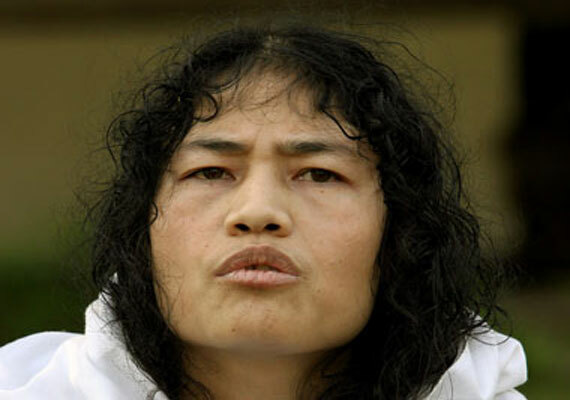 New Delhi, May 21 : A 1000-word “very long” poem, penned by Irom Sharmila, who has been on fast for the past 12 years to protest against what she calls repressive laws allowing widespread human rights abuses, forms part of a new book on the activist from Manipur. • Where the Abnormal is Normal,” a book written by author and documentary filmmaker Minnie Vaid and published by Rajpal and Sons. The book is based on the life of Irom Sharmila, on factors that triggered the now 40-year-old-activist to began a total hunger strike, without food or water since November 4, 2004 against the Armed Forces Special Powers Act (AFSPA). “She was 28-years-old at that time and holds the unenviable record of being the longest ‘hunger striker’ anywhere in the world till date,” writes Miinie Vaid from Manipur. The book also contains interviews of her close family members and those who have helped her over the past 12 years. Sharmila was a “sensitive youngster deeply interested in society and human beings,” says a foreword written by Deepti Mehrotra who has authored two books on the Manipuri activist. “I will write a poem, a very long poem. it will be a poem of one thousand lines. I will write about society. I will write about my experiences since my childhood. I will write about what I have seen,” Sharmila told Deepti while she was in Delhi and in solitary confinement after being arrested for a fast unto death in the year 2006.